Hello my lovelies, it’s Monday once again and it’s time to roll up this week’s menu. Planning what to eat can be challenging especially when you feel a bit less inspired. This is why I try to plan ahead so that no matter what mood I’m in during the week, I will have something to guide me by in terms of what to put on my plate. Saturday and Sunday… well you know the drill. It’s either take out or dine out, or demolish whatever is left in the fridge! Hopefully this week’s Menu Monday has inspired you on your meals for the week. If there is any recipe mentioned that you’d want me to feature, just say so in the comments. I would be happy to oblige. Check out my previous Menu Monday’s here. 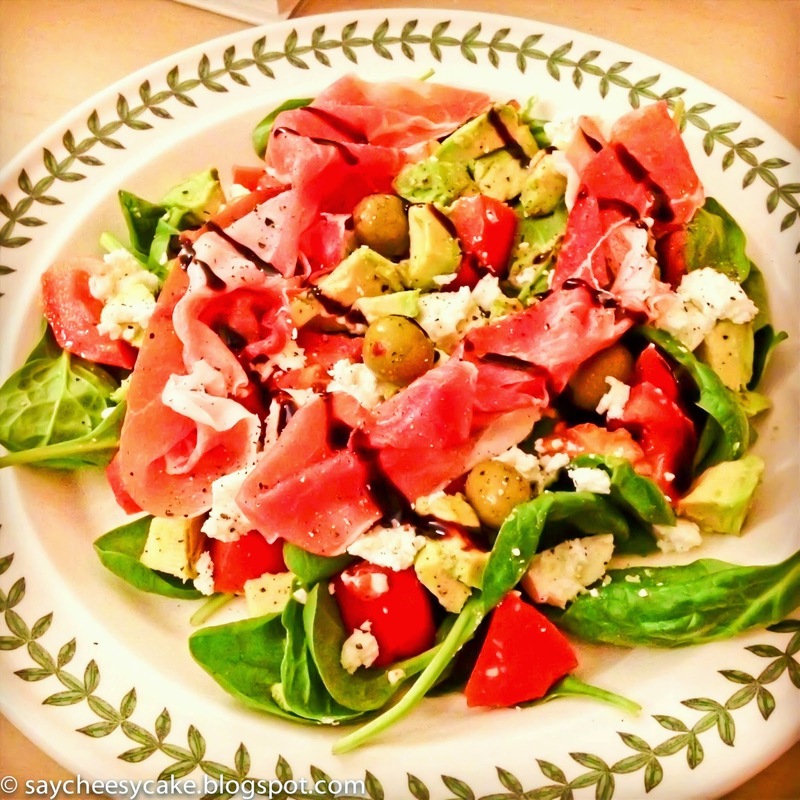 Oh, I would love to have this salad right now as I really love it to eat salad! And I know this challenge what to cook as I have this each day with my family :) But in the opposite to you I don't make a plan (which makes absolutely sense in my opinion!) I cook, as I'm the cooker, simply what I'm craving for ;) Today we will have pasta with broccoli and cream and onions and I will bake this in the oven together with parmesano and breadcrumbs. Wish you a happy week! Thank you Rena, that pasta sound yummy and I'm thinking about it now! That Advocado Salad makes my mouth water! Definitely going to try that! hahaha, thanks. :-) I am also mosty like that in the weekend or when my husband is not home! This salad with prosciutto sounds divine and the Filipino style sweet and sour pork with rice OMG I wish I was your neighbor! Adriana we are such foodies! I wish I was your neighbor too and I will eat all of your leftovers!